Virologie offers top-level information for all those for whom virology is already the main or an important part of their activity: biologists, clinicians, pharmacists, veterinarians, agronomists, etc. Made up of review articles written by the best clinicians and researchers in the field, Virology provides detailed data and reports on the latests knowledge, drawing onthe most recent publication in the international literature. A new section for review articles written in english will be open, the "english e-section of Virologie". 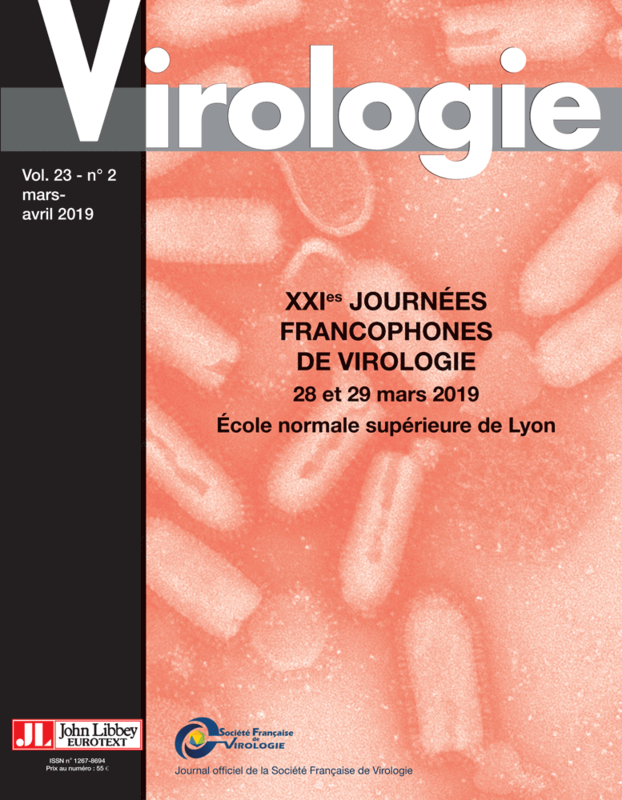 Since 2015, Virologie is the official journal of the French Society of Virology. Chemical pollution and innate antiviral immunity: Dangerous Liaisons ?